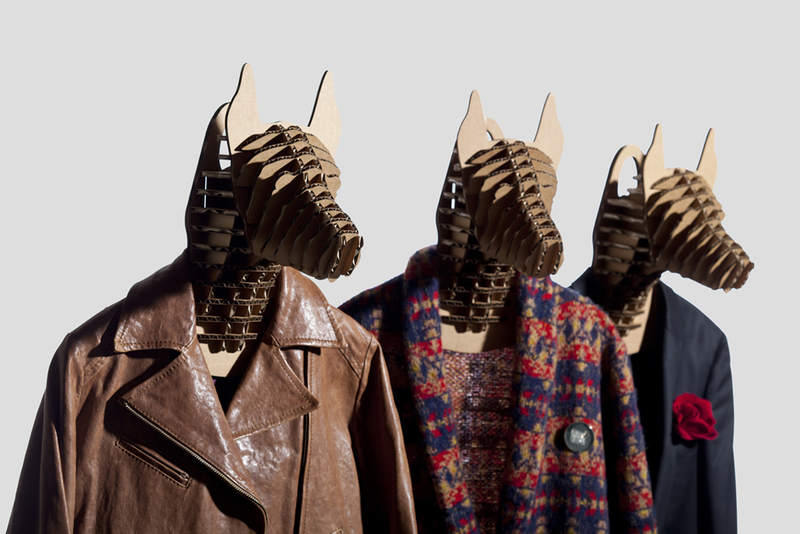 The d-torso Animal Hanger Series is unique display item that combine the animal head and cloths hanger. 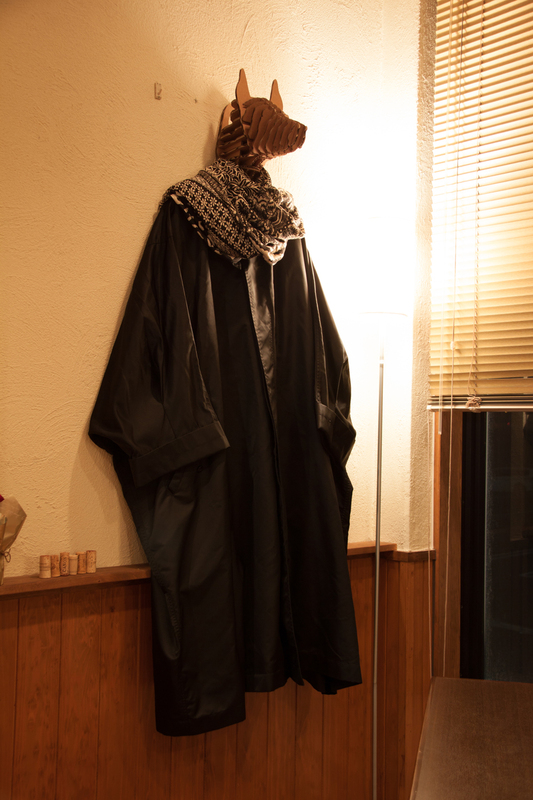 Put your favorite cloths on it and it becomes a interesting wall decoration. 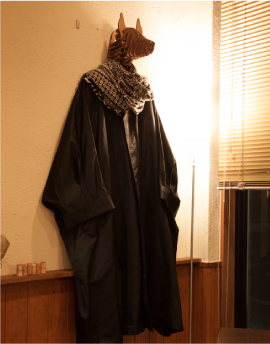 In the western country, hunters hang their chase on the wall such as deer head stuff, called hunting trophy. 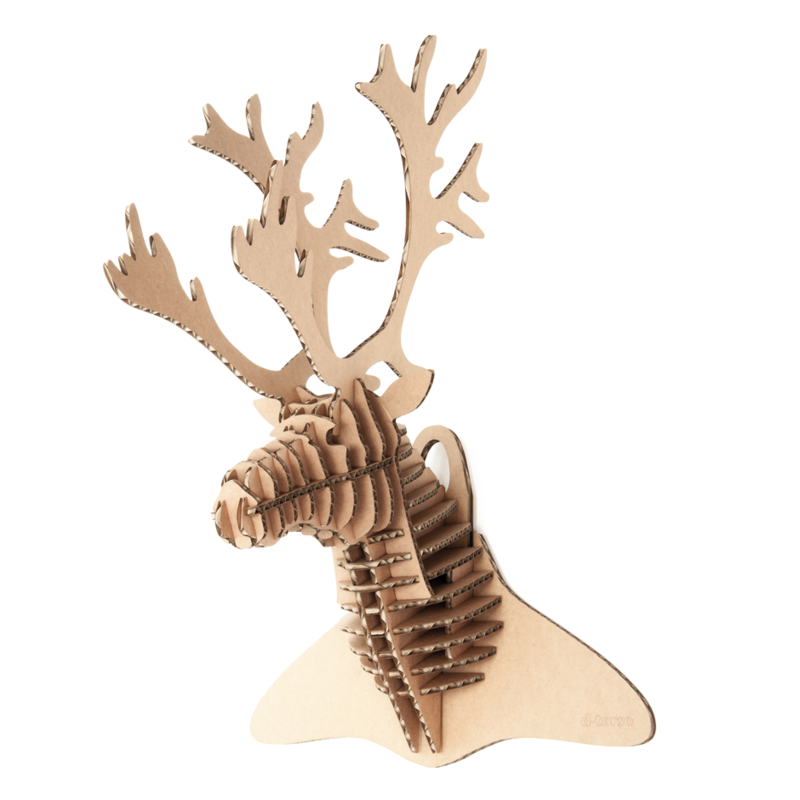 Instead, the d-torso animal hanger is little bit different. It is very eco-friendly for animals, environment, and even for human. We do not hunt any animals of course, we do not hang them on the wall. Rather we even put the cloths on them. 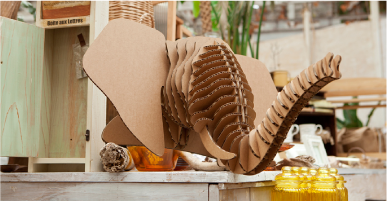 The d-torso cardboards are 100% made from natural paper, so environment load is very limited. 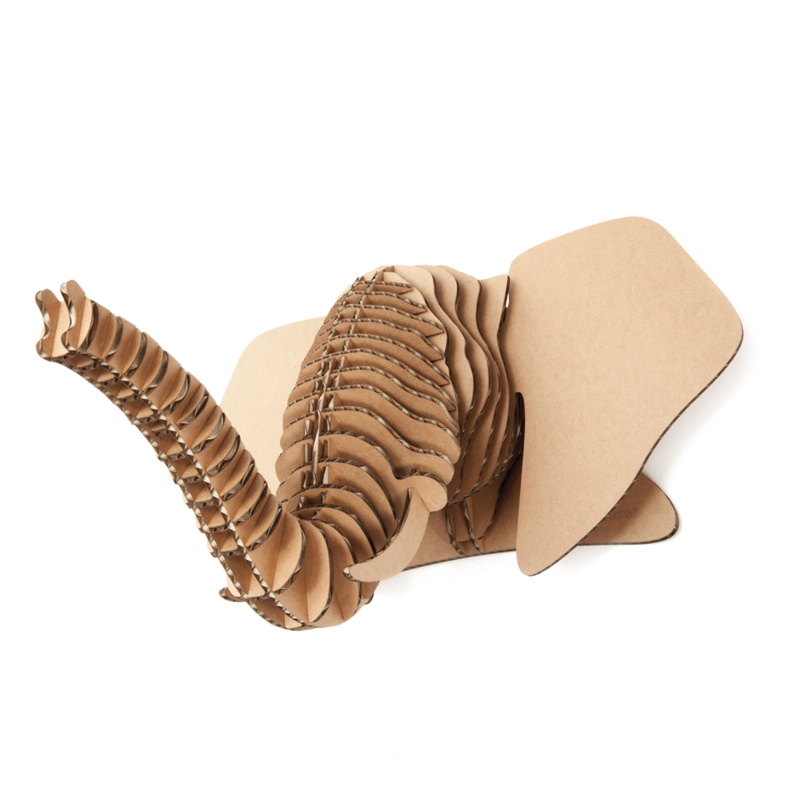 The d-torso Animal Hanger sometimes makes us smile, relax, happy just looking from the wall with the cloths on. Currently we have Deer, Elephant, and Dog model. 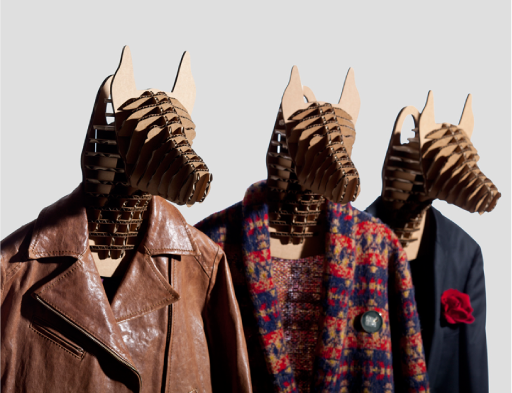 Make your room or store unique with your favorite cloths and the favorite d-torso animal hanger. 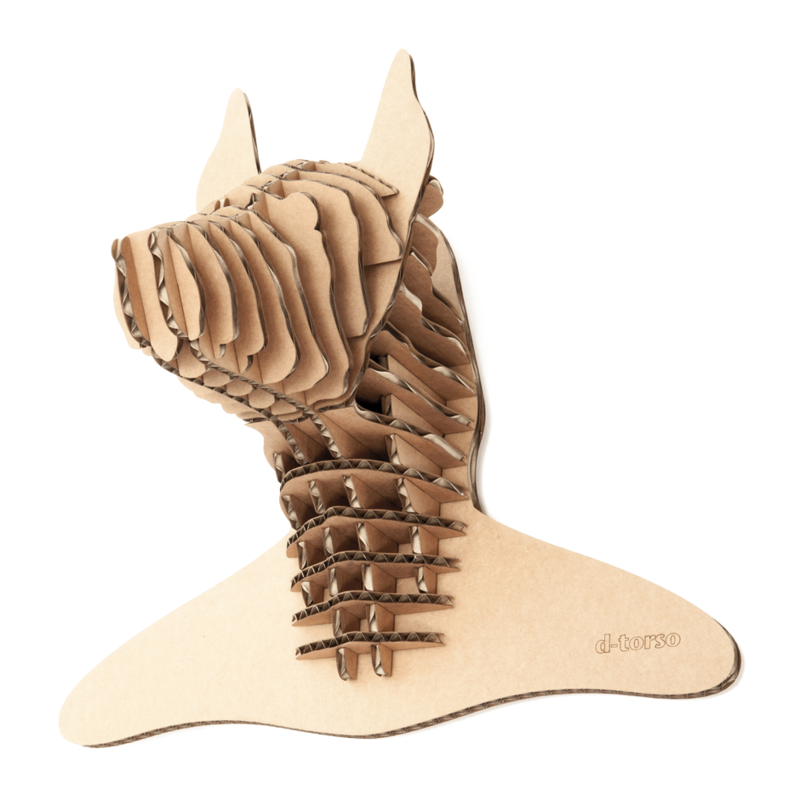 The d-torso Animal Hanger model is a cardboard craft kit cut by a specially designed laser. 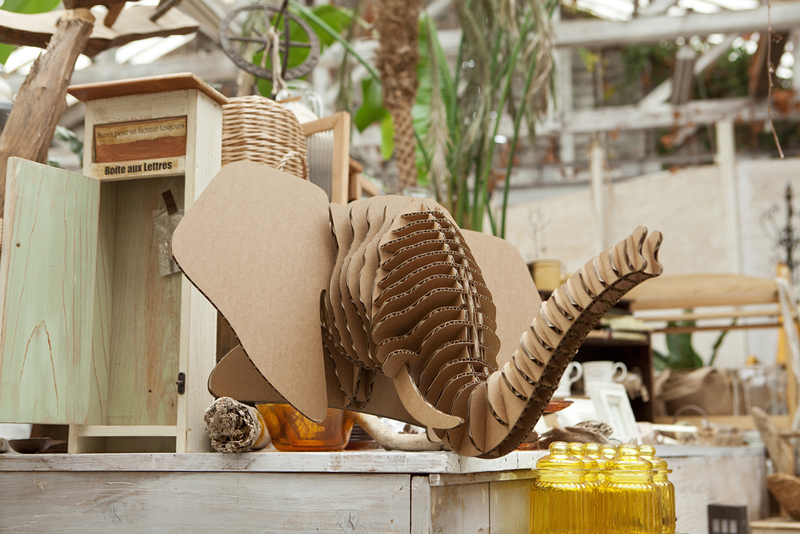 It includes 31 pieces and a hanger, total 32 pieces all attached to cardboard sheets. 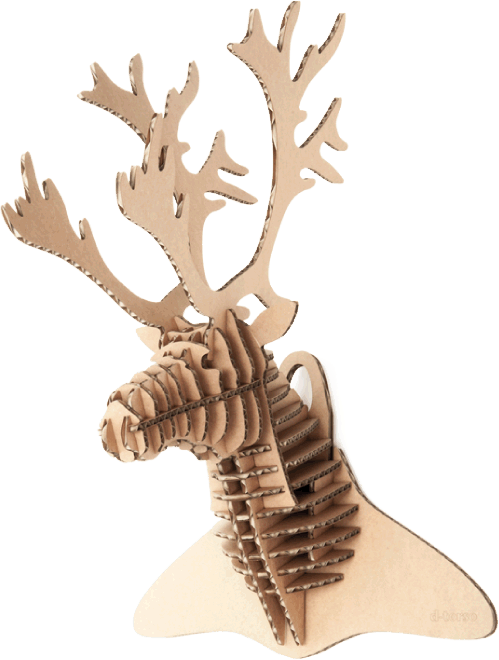 The pieces are easily removed and put together without the need for scissors or glue, so anyone from children to adults can enjoy the assembling process. 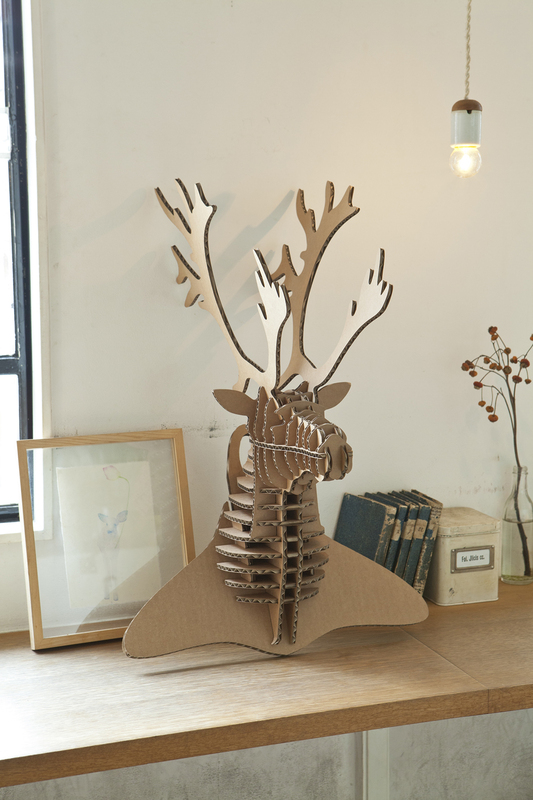 We have designed this Animal Hanger carefully keep the balance of the animal and cloths. 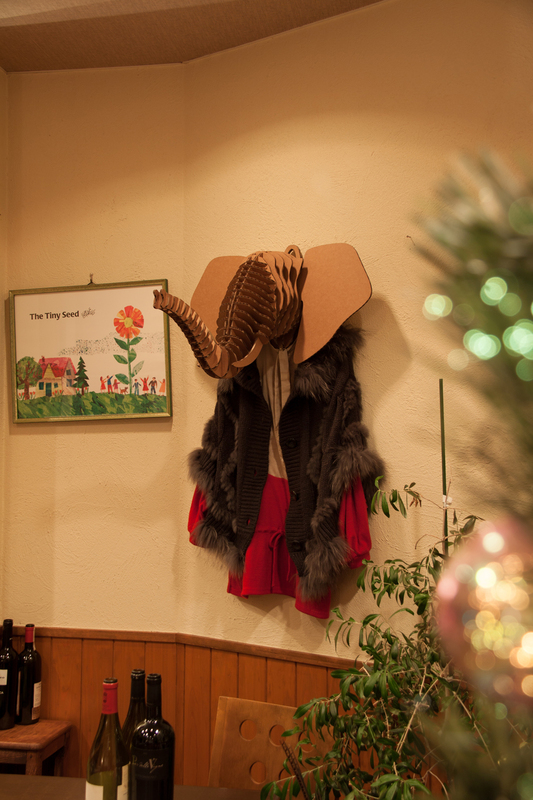 We brought our own cloths and try to put them on the hanger, but the cloths look totally different depends on the animal. 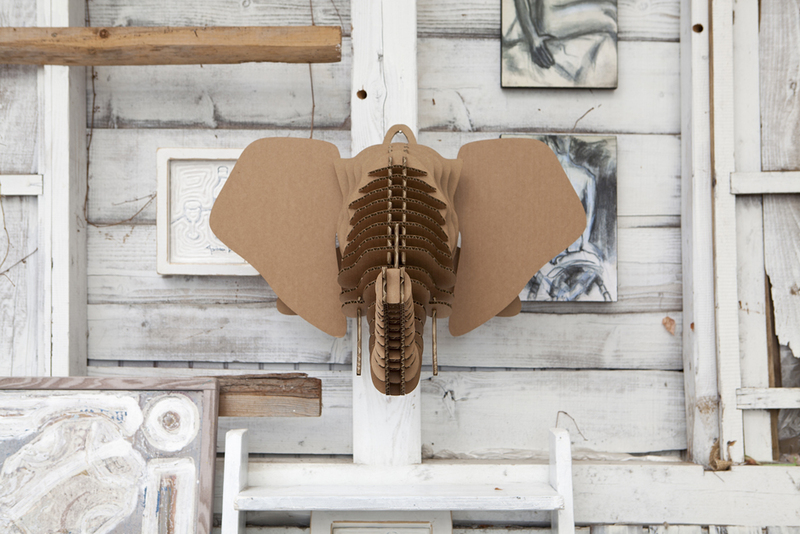 Any cloths look funny when you put them on the Elephant Hanger, on the other hand, any cloths look good with the Dog Hanger. We realized how the each animal has their own character. 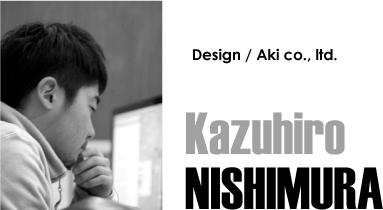 It was very good experience for us to try put and change the cloths and change detail design of the animal. The small change of the design sometimes brings big change of impression to the cloths. 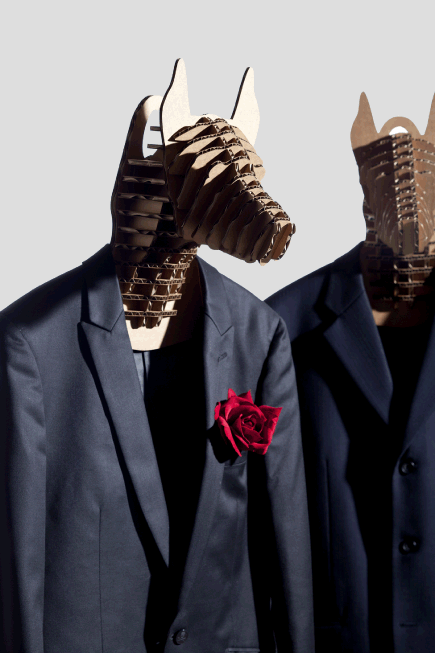 My favorite is Doberman Dog Hanger that looks villain’s character.